Less than one year has lapsed after the General Elections, but the mainstream political parties ready themselves for the future parliamentary election due in 2020 by giving their mind to the kind of strategies to be evolved for electoral success. As things stand at the moment, polarity of the national unity government has waned drastically. On the other hand, there is no well-knitted political force to represent a formidable opposition to the government, particularly in Parliament. Against this backdrop, the United National Party (UNP), the principal party of the unity government headed by Prime Minister Ranil Wickremesinghe, consulted a team of British experts on political strategies on the current political trend in the country with a focus on measures for facing future elections. First, the British experts met with the Cabinet Ministers belonging to the UNP, and then, the party’s parliamentary group. It is learnt from UNP sources that these experts have stressed the need for its MPs to address masses in their electorates and to explain to them the party’s plan to be executed by it during the coming years. After a survey, these British experts have found the present standing of the UNP. All in all, the UNP seniors believe that the party has the edge over others, be that as it may, because it remains undivided on the one hand, and has a plan of action earmarked for the next few years. A Cabinet Minister, who attended the meeting said the MPs were also asked to apprise people properly of what the government did over the last year to promote the rule of law. “Today, they have found that the minorities feel contented because of safe, peaceful environment created by the government, the Minister said on condition of anonymity. While the UNP consults foreign experts, the Joint Opposition (JO) which is, in fact the United People’s Freedom Alliance (UPFA) faction ostensibly led by former President Mahinda Rajapaksa, also braces for future elections -- the Local Authorities’ election on the short run and the parliamentary election on the long run. The UPFA is virtually divided with one segment throwing its weight behind MR, and the other, behind President Maithripala Sirisena. So, it is in a quandary at the moment to get its act together to emerge as a force to defeat the UNP at any election due in the future. The JO leaders seem to have come to terms with political reality that there is irreconcilable disagreement between the President and his predecessor. 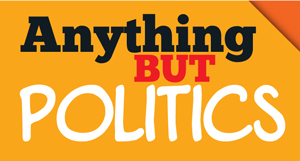 Unity is impossible; as such they should look to other options to forge ahead against current odds in politics. With this in mind, the JO organized a major public awareness campaign in Badulla early this month, as a forerunner to the formation of a new political front, later to be registered as a party to contest elections. Consequent to the Badulla meetings, the JO is getting ready for the protest march or Paadha Yatra to be conducted from Kandy to Colombo between July 28 and August 1. The leaders of the JO met under the chair of MR. Responsibilities were assigned to each MPs to organize people for participation in this march. Amidst preparations for the event, a fear psychosis has begun to grip the JO that some of its key members would be arrested and put behind bars. The remanding of MP Namal Rajapaksa gave credence to such fear. They fear further arrests would be on the cards ahead of the protest march. Obviously, the MR faction commands bigger public support in the electorate than the other UPFA faction does. 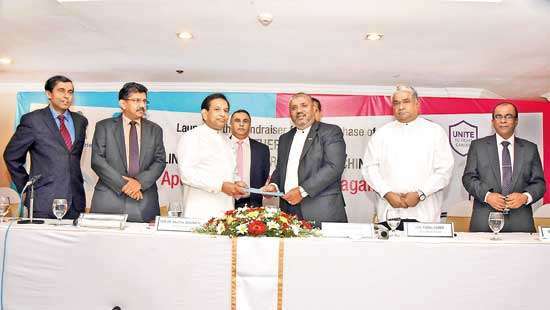 Therefore, more in a fix is the UPFA group with the President. Present day UPFA stalwarts such as Ministers Mahinda Amaraweera and Duminda Dissanayake are reportedly of the opinion that the party should cast aside the MR loyalists and take steps for reforming the party in a novel direction with new blood. Former President Chandrika Bandaranaike Kumaratunga who calls the shots in party affairs remains adamant on such drastic measures, and she advised the seniors to act without delay. MR has also sensed that serious measures against him and his supporters from the party are on the cards, and that might have compelled him to remark at a recent function, “I may face expulsion. If I am thrown out, I will fall into the midst of party people. The party’s strength is its people, but not its name board”. However, there are others within the President’s factions, who believe that the party may not have any future without achieving unity between the two leaders. Labour and Trade Union Relations Minister John Seneviratne is one such member vigorously pushing for unifying the factions asserting that the party would be doomed otherwise. Such members would strive to unite the opposing forces though it is hardly possible. At the last resort, they might choose to join one section or another. There might also be others wanting to join the UNP as the situation demands for them in politics. Despite such opinion prevailing, the party decided to move forward as advised by Ms. Kumaratunga. The UPFA ministers had a dinner meeting on Tuesday at the residence of Petroleum and Petroleum Resources Minister Chandima Weerakkody and devised plans for reorganizing the party ahead of the local government elections, being planned to be conducted early next year under a new system. Interviews are currently underway to select prospective candidates. These UPFA members, serving in the government are poised to face yet another dilemma when the Value Added Tax (Amendment) Bill is taken up in Parliament for vote next week. The Bill seeks to give legal effect to the hike of VAT announced by the Govt. The Supreme Court also ruled suspending its implementation till the parliamentary legislation is enacted. Alongside, there is a groundswell of public unrest against VAT. Hence, any member is under pressure from the public to raise his hands for the enactment of the VAT legislation. 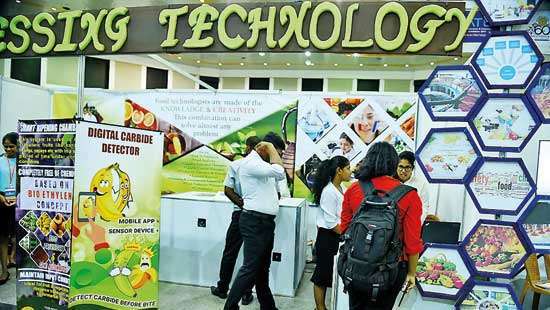 The UPFA Ministers are slated to be more at pain in deciding on it. At Tuesday’s Cabinet, UPFA MP Sports Minister Dayasiri Jayasekara raised the matter and said the Govt should brief people on VAT issue and its impact without allowing the opposing forces to score brownie points by misleading the public with false information. Actually, Finance Minister Ravi Karunanayake briefed the Cabinet on VAT and said the new legislation would be enacted next week in the House to give legal effect to the proposed hikes. In the meantime, UPFA MP Agriculture Minister Diminda Dissanayake had a ‘dust up’ with Rural Economic Development Minister P. Harrison over the distribution of agricultural plants among people in the Anuradhapura District -- which is represented by both. Minister Dissanayake was not happy about Harrison’s involvement in this said it was a matter falling under the ambit of his Ministry. The President also intervened at one point, and said the duo should sort it out amicably. Recent public appearances of former Defence Secretary Gotabaya Rajapaksa indicate that he would join active politics at a later stage. Currently, he is spearheading an organization called ‘Wiyath Maga’. Last Saturday, he, apart from engaging a group of professionals and Business leaders in Galle had a meeting with the representatives of the Galle-based Muslim community. The Galle electorate has a concentration of Muslims decisive enough to influence politics in the area. 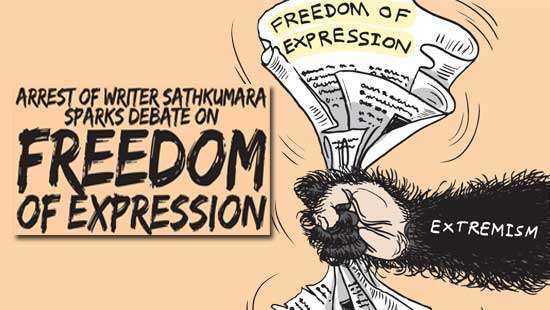 His engagement with Muslims has to be analysed in the context of his image being tarnished in the eyes of Muslims over his purported failure to contain violence against the community in Aluthgama, Kalutara in 2014. At the meeting, he discussed how the end of war under him as the Defence Secretary befitted Muslims in a major way. Alongside Gotabaya was backed by former External Affairs Minister Prof. G.L. Peiris, who dealt with the cause of Palestinian struggle and Sri Lanka’s relation with the Arab world under the previous rule. This engagement seems to have long term political objectives. JO MP Namal Rajapaksa was arrested and remanded after being produced before court last Monday. 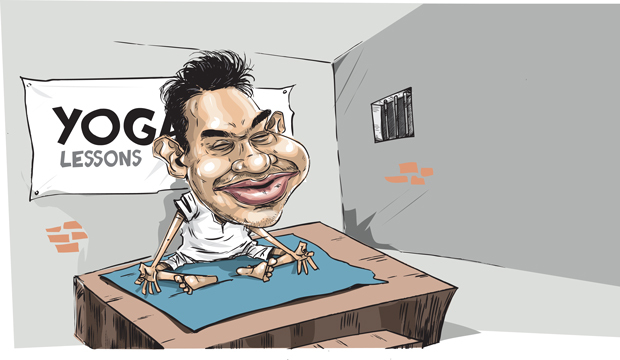 His JO colleagues visited him in remand prison and found that he was engaged in demonstrating Yoga to fellow prisoners. Ahead of the arrest, Namal had actually foreknowledged that it was in the offing. His colleagues had warned of it and asked him to brace for it. After a function prior to the arrest, Namal happened to travel in the same vehicle with a few other MPs, including former Minister Johnston Fernando who was in remand prison, who in fact, briefed Namal about life in prison. For the Joint Opposition, it is yet another significant day today because two of its members are going to enter wedlock today. It will be parliamentary group leader Dinesh Gunawardane’s son Yadamini Gunawardane and Western Provincial Council Member Samanmali Sakalasuriya. They will enter matrimony at a function to be conducted at a leading hotel in Colombo.